For fans of Josh Whedon's cult classic television show Firefly comes a fascinating and fast-paced sci-fi thriller from author Mindee Arnett, which New York Times bestselling author Kiersten White calls "a heart-pounding, tense joyride of a novel." Jeth Seagrave and his crew have made their name stealing metatech: the devices that allow people to travel great distances faster than the speed of light. In a world where the agencies that patrol the outer edges of space are as corrupt as the crime bosses who control them, it's as much of a living as anyone can ask for. For years Jeth's managed to fly under the radar of the government that executed his parents for treason--but when he finds himself in possession of information that both the government and the crime bosses are willing to kill for, he's going to find there's no escaping his past anymore. 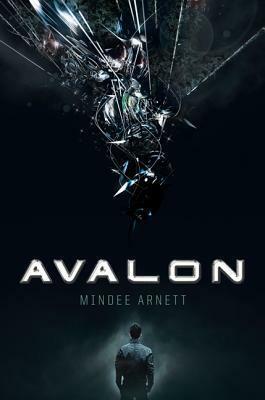 With pulse-pounding action, a captivating mystery, and even a bit of romance, Avalon is the perfect read for hard-core sci-fi fans and non-sci-fi fans alike. Of the various star systems that make up the Confederation, most lie thousands of light-years from First Earth--and out here, no one is free. The agencies that govern the Confederation are as corrupt as the crime bosses who patrol it, and power is held by anyone with enough greed and ruthlessness to claim it. That power is derived from one thing: metatech, the devices that allow people to travel great distances faster than the speed of light.